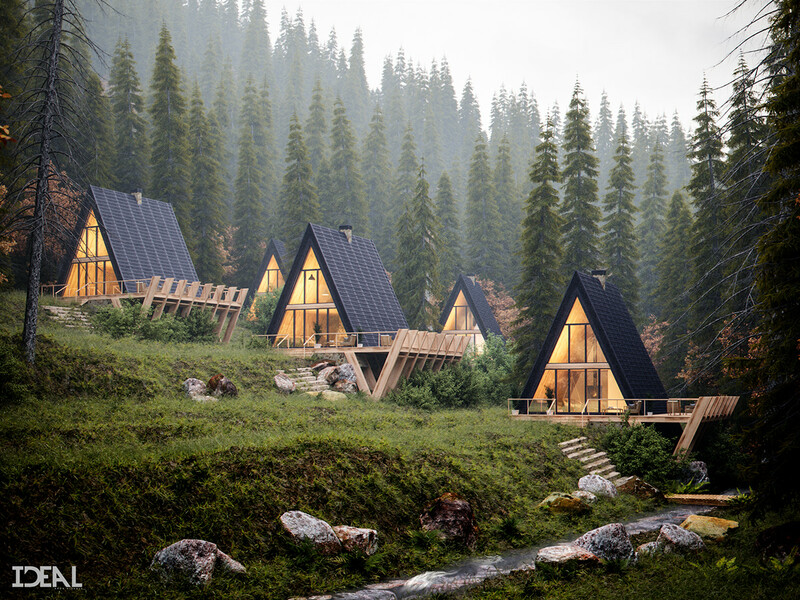 Another cabin in the woods visualization project work by Ideal Arch Visuals. 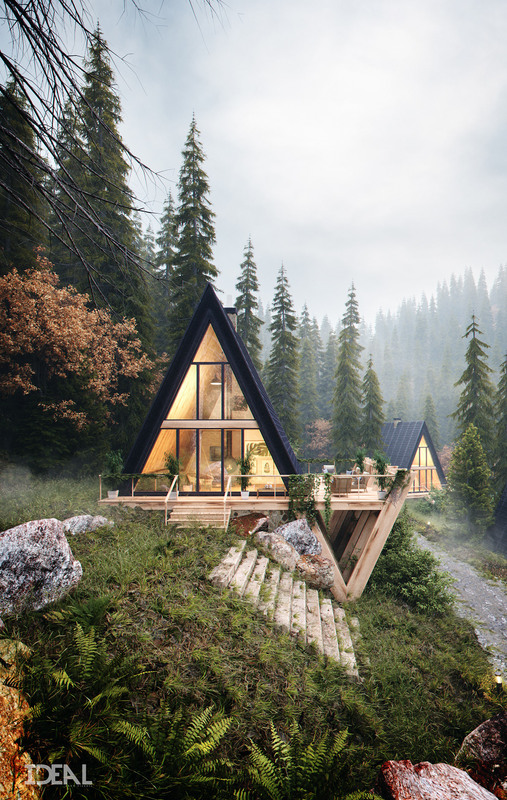 This is a CGI imagery of 5 cabin/single-family houses in a foggy forest, into the mountains. 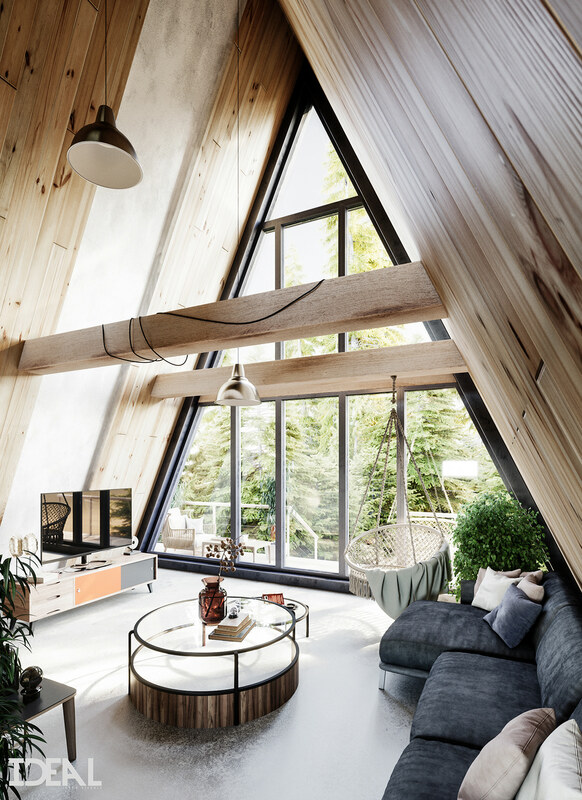 The placement of these houses was intentionally setup on the terrain and designed accordingly.